I have prepared this hummus for my family, all my friends, and students. Yes, I take food to class. I never get tired of eating or making it. save 3/4 of a can of juice from one can of the chick peas or liquid if you cook the bean. 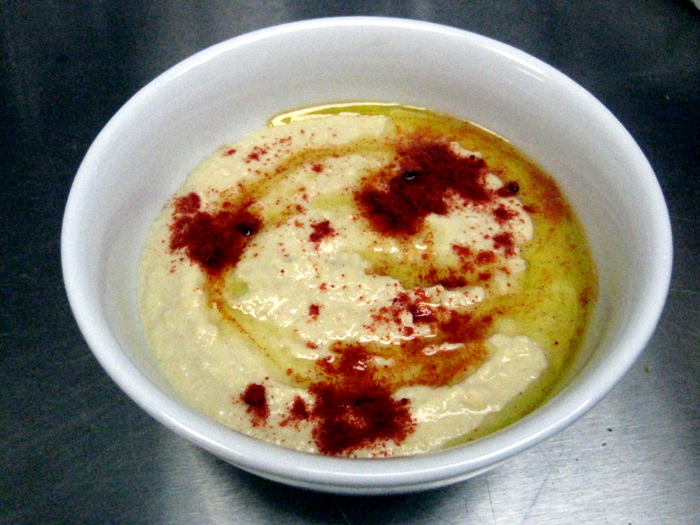 Place the garbanzo beans, liquid from beans, tahini, lemon juice, salt, garlic and cumin in a blender or food processor. Blend until smooth. Add more lemon juice and olive oil to taste. Drizzle more olive oil over the mixture. Sprinkle with paprika.